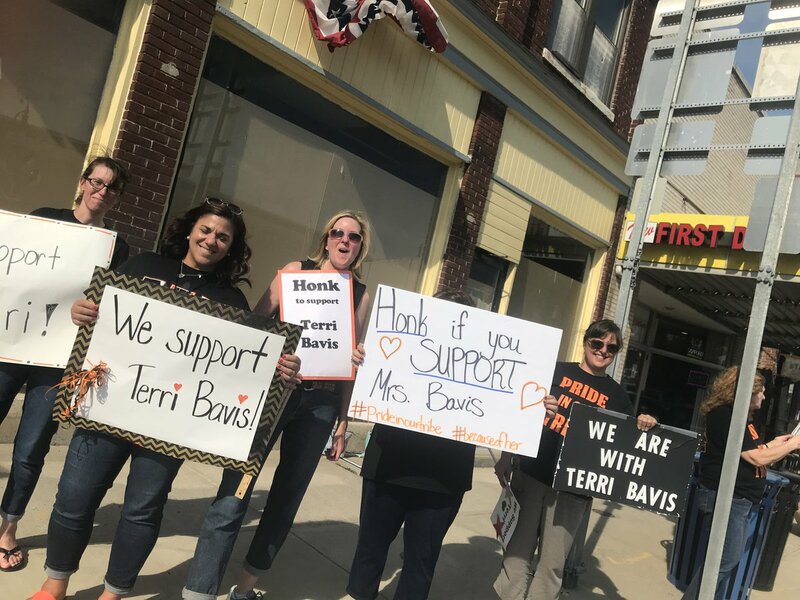 Positive change was the driving force behind those who turned out for Waterloo Central School District Superintendent Terri Bavis. The administrator was announced as a finalist last week for at least one other opportunity — after the Board of Education failed to sign a contract extension that was approved by a vote of 7-1. 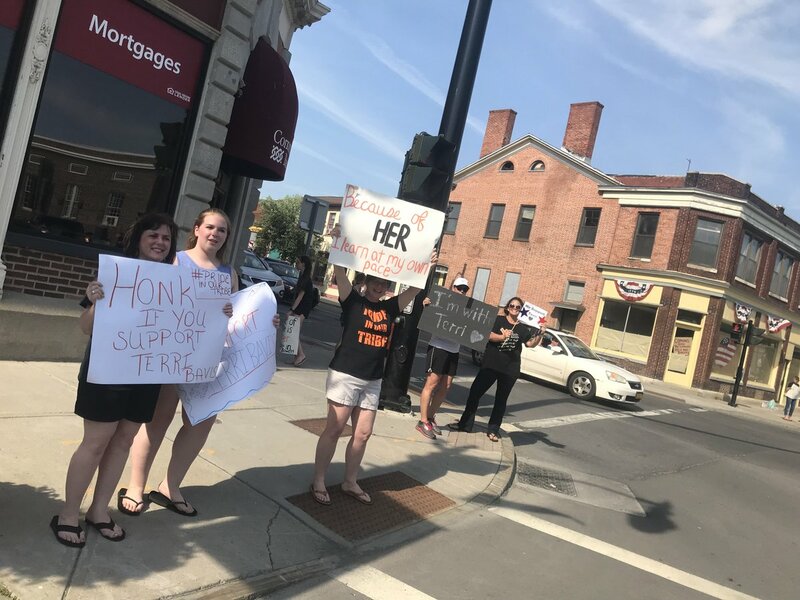 While the board said they could not elaborate on the reasons behind the stalled contract talks — members of the community, and faculty — remain hopeful that it will be resolved. Bavis was the first woman to become superintendent of the district. She was given a contract worth $151,000 annually for three years. 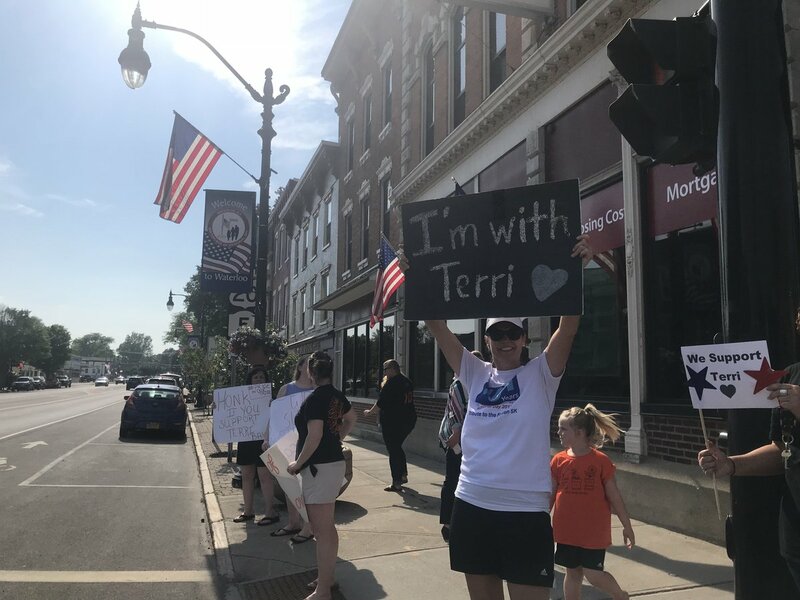 Now, without long-term job security — she said in a letter to teachers last week that looking at other options in districts away from Waterloo became a professional necessity. It’s unclear if the board is planning any special action or sessions to address this issue. Photos submitted by Holly Swenson.